For the bargain wine hunter, over the past five years there hasn’t been a better region on Earth than South America. From the unique niche that Argentina was able to find for itself with its transformation of the Bordeaux blending grape Malbec into a stand-alone varietal to the terroir-driven Cabernets and Syrahs of Chile, not to mention a vast array of indigenous white grapes like Torrontes, this is a region of the Earth that has been producing approachable and often world-class wines at relatively affordable price points. There are dozens of perennially fantastic Mendoza Malbec wines in the $20 range, and several single vineyard Chilean Cabernet wines in the $50 range that rival those from Napa that require upwards of a $100 expenditure. Optimistically, I submit that there may be a new player in the South American wine game, and that is Uruguay. These winemakers have been learning steadily over the last decade, perfecting their craft slowly as they struggled to match the quality of their counterparts in Chile and Argentina. They could be poised to enter the conversation sooner than you might imagine, and at even more competitive price points. Case in point is the wine I have decided to feature, a young Uruguayan Syrah that demonstrates impressive structure, depth and balance not only for its youth, but especially considering the country where it is produced. At $9 a bottle, you’d be hard pressed to find a wine of similar expression anywhere in the world, so don’t sleep on Uruguay starting right now, and going forward. 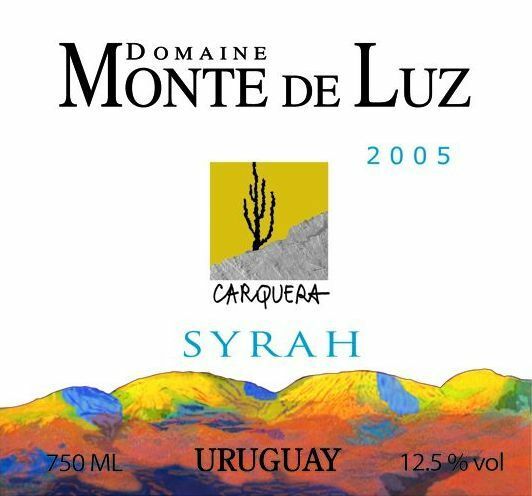 DOMAINE MONTE DE LUZ SYRAH SAN JOSE CARQUERA 2009, 88 Points, $9, 2000 Cases Produced- Awesome nose, with dark, perfumed fruit above hints of mocha and leather. Velvety body with complex chalky mineral and leather above its blackberry and dark plum fruit, very soft and seamless. Coffee notes along with lots of mineral spice linger, and this is impressively balanced and not at all overripe for such a young wine. #1 Seeds: Ohio State, Kansas, Pittsburgh, and the winner of tomorrow’s ACC Title game between UNC and Duke.